The event is organised in close collaboration with the National Dance Archive of Ireland, the Irish World Academy for Music and Dance, the School of Culture and Communication, and the School of Design (University of Limerick) and will take place in the Irish World Academy Building on the north bank of the UL campus. The conference explores Irish-German connections through dance from the 1920s to the present. It includes presentations on dance in literature, theatre, film, architecture, archives and education. Presentations will address dance in Irish and German modernism, choreographies of space in locations such as Ardnacrusha, dance in early German film, and the transgression of boundaries. Films to be screened will include Deirdre Mulrooney’s Dance Emergency (2014), about the Irish-German modern dancer and teacher, Erina Brady, and Wim Wenders’ film Pina (2011), based on the work of the German pioneer of Tanztheater, Pina Bausch. 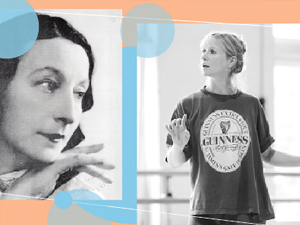 The conference will open with an exhibition of the celebrated Irish choreographer Marguerite Donlon, who made her name in Saarbrücken, and is currently working with the Bolshoi Ballet; it will close with a live performance of a new choreography by Donlon. Please click here for more information and the programme. Please click here for information regarding registration.